Graveyard Keeper is the most inaccurate medieval cemetery management sim of the year. 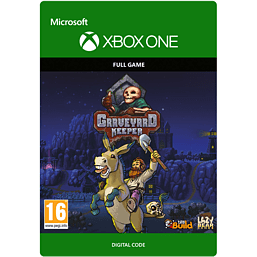 Build & manage your own graveyard while finding shortcuts to cut costs, expand into entertainment with witch-burning festivals, and scare nearby villagers into attending church. This is a game of capitalism and doing whatever it takes to build a thriving business. Make business alliances. These dead bodies don't need all that blood, do they? Why not sell it to someone who can put it to good use. Same for body parts. Hey, it's being efficient with recycling! © 2018 tinyBuild, LLC. All Rights Reserved.